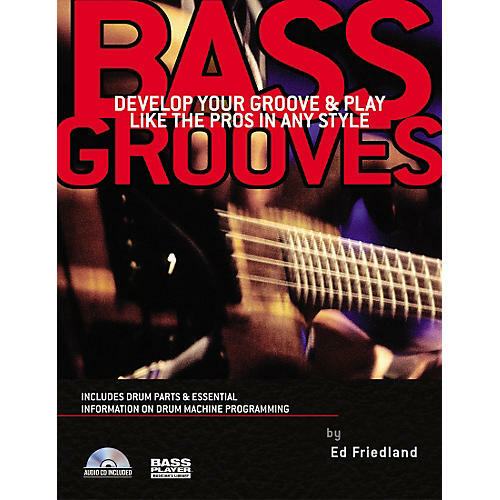 The only book to teach groove development strategies that includes drum notation and tips on programming drum machines, this book/CD combo gives bass players both the musical background and training needed to get on with their grooving. With lessons guided by a metronome and presented in various musical styles and rhythmic applications, bassists increase their ability to internalize rhythm. The book also breaks down classic styles and grooves from rock, blues, R&B, jazz, Afro-Caribbean, and other traditions. Each illuminating example includes a notated version of the drum part and details how to program it into a drum machine. 96 pages. Get your bass groove on! Order today.